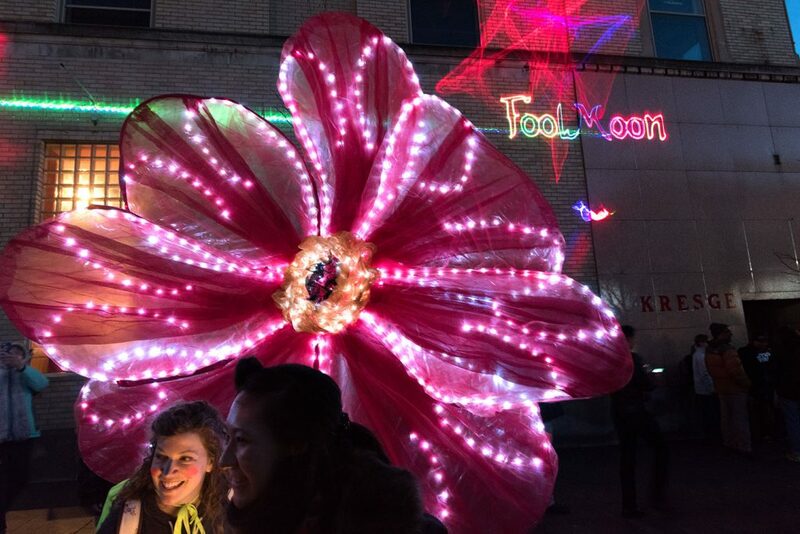 Fool Moon kicked off Ann Arbor’s 2017 festival season on April 7, 2017. 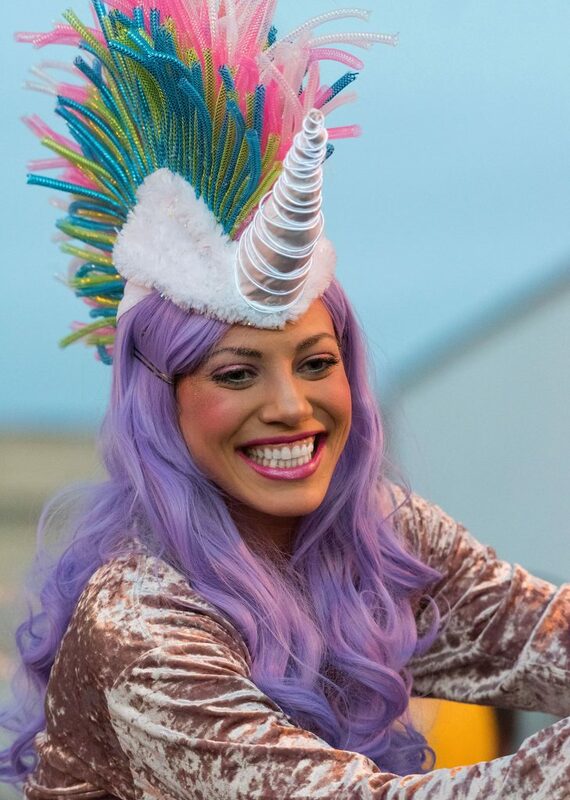 A 3/4 moon hovered over the scene, which included a unicorn on stilts, polynesian-style dancing with led lighting, beautiful interactive LED light projections on the buildings on Washington Ave, and Fool Moon parties that spilled over into the bars. 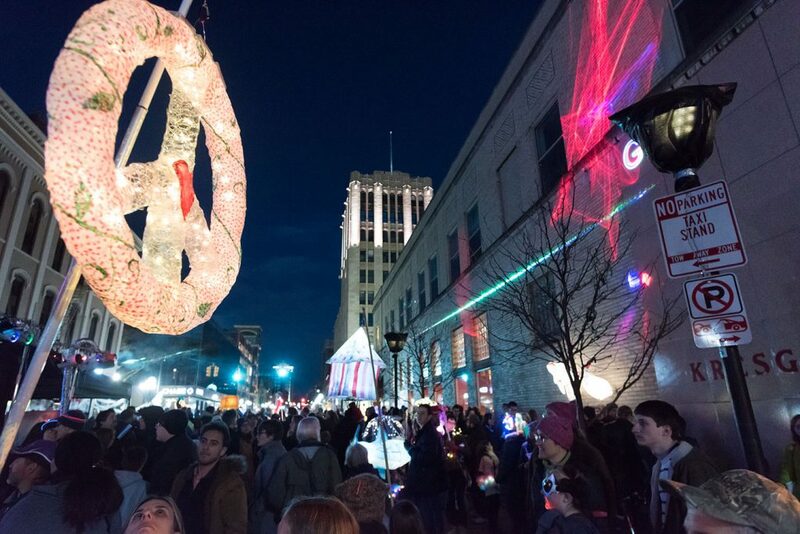 Festifools is today, but Fool Moon is always the star of the show, as it reinforces what a beautiful town at night Ann Arbor is. Sheila May, second from left, did a Polynesian-style dance performance with her group at Fool Moon 2017. Fool Moon creativity on display on Washington Ave.
A unicorn on stilts smiling at Fool Moon. Alley Bar was in the Fool Moon spirit on Friday, April 7 in downtown A2. 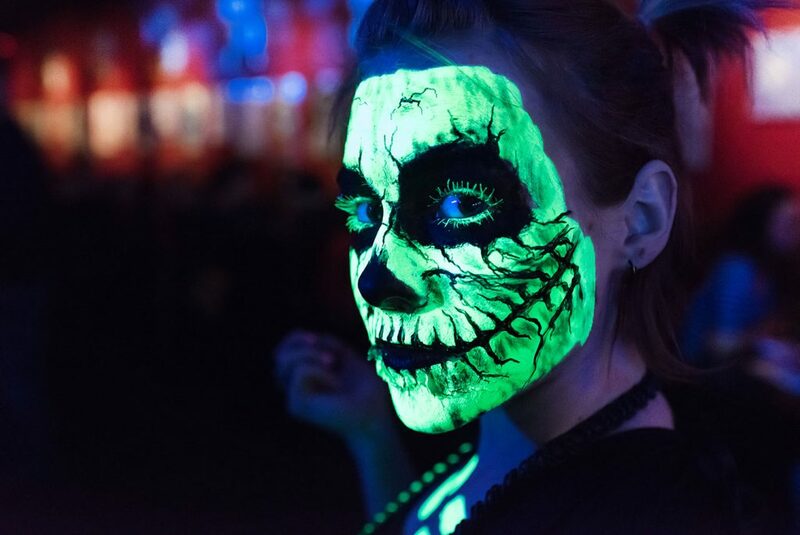 This waitress painted her face and the black-lights illuminated it nicely.